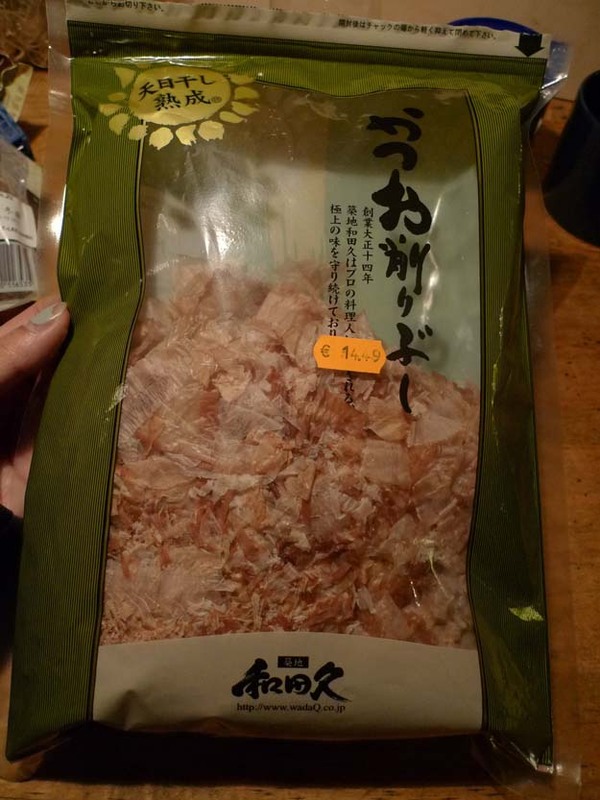 KONBU (Sea weed) and KATSUO BUSHI (Tuna bonito) are two essentials for Japanese broth making. You can't fool around with it. But I think i found a fake one. 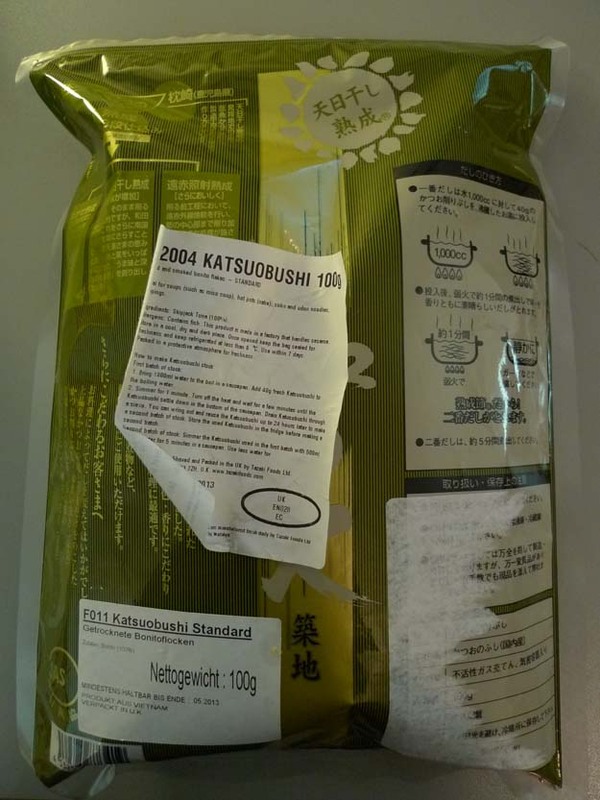 The original package says in Japanese 'MADE IN JAPAN'. 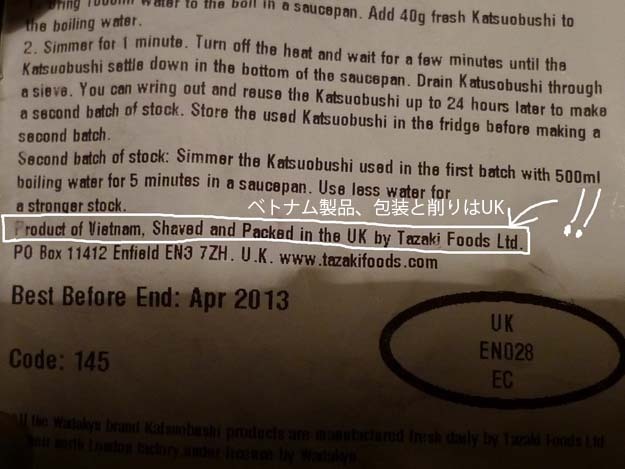 But the additional stickers both in English and German says 'Product of Vietnam, Packed and shaved in UK'. 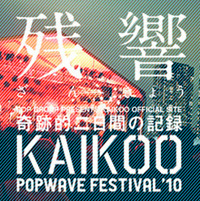 We are finding many interesting facts on the way to perfect udon noodle. 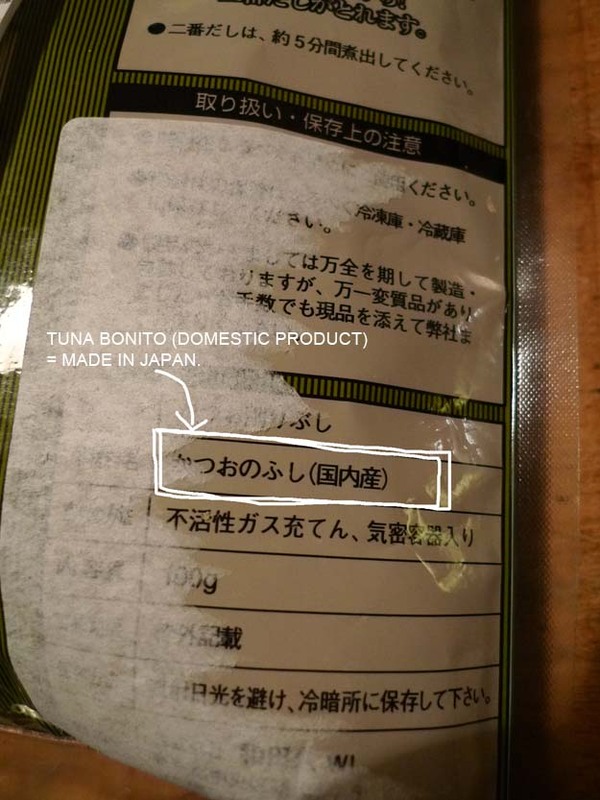 Maybe I should start thinking to smuggle Tuna Bonito from Japan. It smells and profits. That sounds kind of familiar.